Foreign Minister Sushma Swaraj, Harish Salve said, had called him in April after he had suggested that India consider the option of approaching the International Court of Justice in an interview with NDTV. 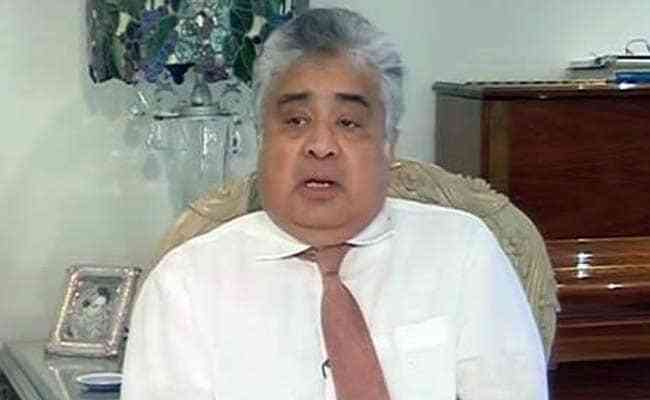 New Delhi: Former Attorney General Harish Salve, who famously charged only Re 1 to argue India's case on Kulbhushan Jadhav in the International Court of Justice in The Hague, today said he has done no more than what any Indian citizen would do. "For me, this is not a commercial case... It was a public duty. Any citizen of India would have done that... it was of no great moment," said Mr Salve, who was feted on Thursday as the court gave a preliminary verdict in India's favour. Prime Minister Narendra Modi took the lead in lauding Mr Salve, who had represented India earlier in international forums as well. In a conversation with External Affairs Minister Sushma Swaraj, PM Modi thanked Mr Salve. Earlier this week, Ms Swaraj had defended Mr Salve on Twitter as someone took a jibe at him. Mr Salve is one of the most expensive lawyers in the country. But Ms Swaraj had pointed out that for this case, he was taking a fee of only 1 rupee. "I thought Sushma-ji was angry with someone so she tweeted it," Mr Salve told NDTV. He also related how Ms Swaraj had led the operation "from the front". The foreign minister, he said, had called him in April after he had suggested that India consider the option of approaching the International Court of Justice in an interview with NDTV. The minister, he said, was "personally looking at every step" and the planning was done in complete secrecy which gave India an edge.